Here's the recipe of simple Aloo Gobi Masala. 1. Heat 3tsp oil in the kadai and add chopped onions and fry till it turns translucent. 2. Add ginger- garlic paste and saute for 2 mins. 3. Add chopped tomotoes and fry again for another 2-3 mins. 4. Now add chopped cauli flower and aloo to the kadai with 2 cups of water. Close the lid and cook it in a medium flame for 5 -6 mins. 5. When aloo and gobi are cooked add turmeric powder, red chilli powder , garam masala, salt and fresh coriander leaves finely chopped. Mix well and cook for another 2 mins or till water evaporates. 6. 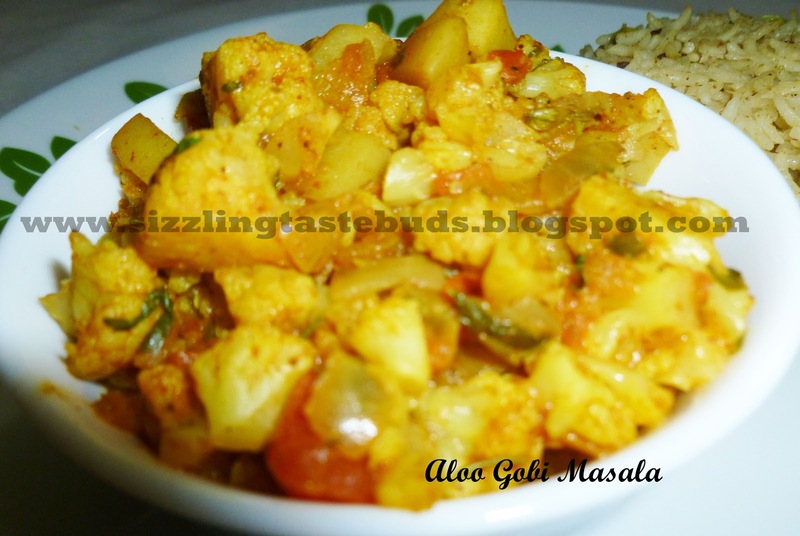 Delicious Aloo Gobi Masala ready to serve with chapati, roti or even as a side dish with rice. To know more about medicinal use of Onions, please refer this blog. 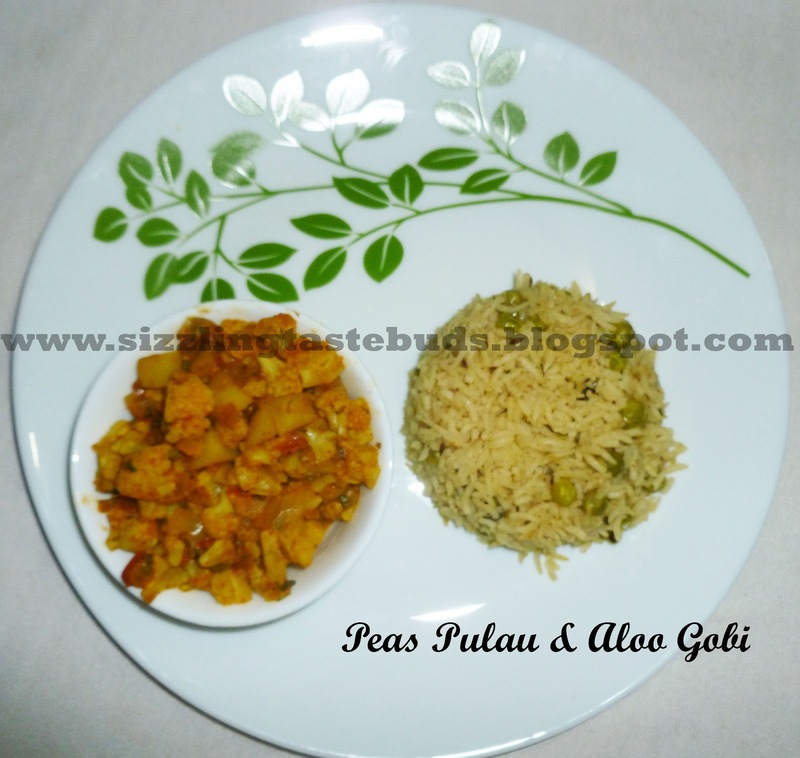 Here's the recipe of delicious Peas Pulau. 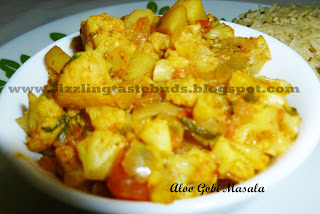 Enjoy this delicious Aloo Gobi Masala and let me know your feedback.